When the Typhoon Haiyan (local name: Yolanda) tragedy struck, SSL quickly mobilized our network to raise funds for the typhoon victims. Due to many generous individuals, we were able to start the SSL “Haiyan Fund.” On the onset of the tragedy, SSL was able to donate to both ‘direct’ and ‘indirect’ channels. For direct channels, part of the Haiyan Fund was donated to some SSL members’ affected families back home who greatly needed relief aid. For indirect channels, SSL helped fund a medical mission by Mission Kayang Kayang in Iloilo (SSL members Mary-bell and Julie Heideman helped organize this relief effort), and we also started collecting clothes that we later donated to Tanauan, Leyte. It has been several months since Haiyan hit the Philippines. The international community has lauded the Filipino resilience amid this crippling disaster but even now that months have passed, Typhoon Haiyan has still left Filipinos more vulnerable than ever, which is why SSL has decided to continue the fundraising efforts. We will have a running fundraising campaign for the whole year to help fund the rehabilitation and reconstruction of small communities who are still in need of assistance. Helping the survivors rebuild their lives is not an overnight endeavor and it would need our continuous support. If you want to know more about the fundraising campaign and how you can help and donate, please visit the “Fundraising Campaign for Haiyan Survivors” section, or click here. Your donation, no matter how much, will surely make a difference. And lastly, we would like to extend our deepest gratitude to everyone who has donated and contributed in some way during the past months of this fundraising campaign. A big thank you to everyone who gave their money, time, effort, and other resources. Your help really means a lot to the people back home who suffered from this tragedy. We hope you would continue to spread the word about it, because there is still a long way to go and we can still do so much more to help. 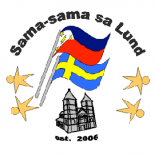 This entry was posted on February 4, 2014 by Sama-sama Sa Lund in Haiyan.